Turn a single AC outlet into a high-speed family charging hub with the 7 Device Charging Station. 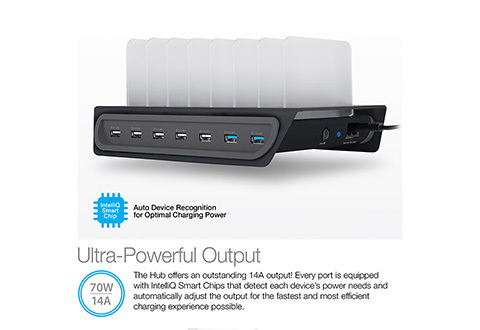 The 14A output safely charges up to 7 devices at a time, including all iPhones, iPads, iPods, Samsung Galaxies and all other Android phones and tablets. Just use the cables that came with your devices. 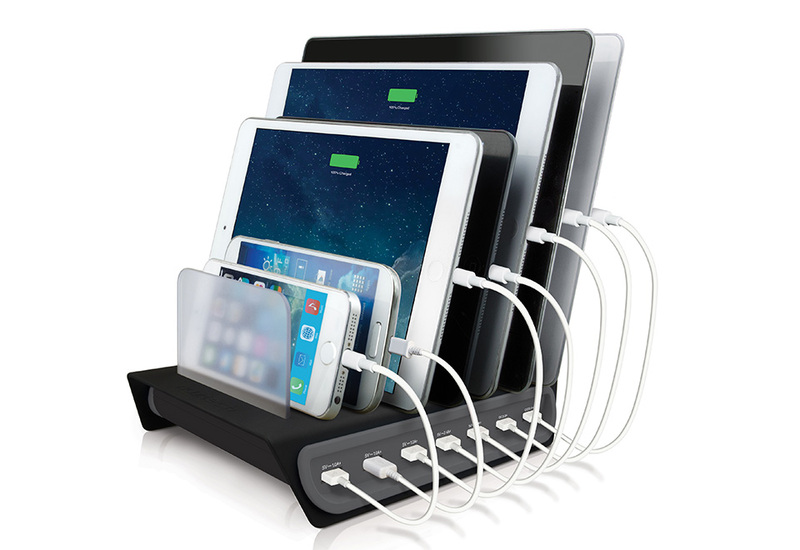 The 7 Device Charging Station can charge up to 7 devices, from one AC outlet. Charge your smartphones, tablets are more! NOTE: Charging cables not included. Please use the cables that came with your devices.